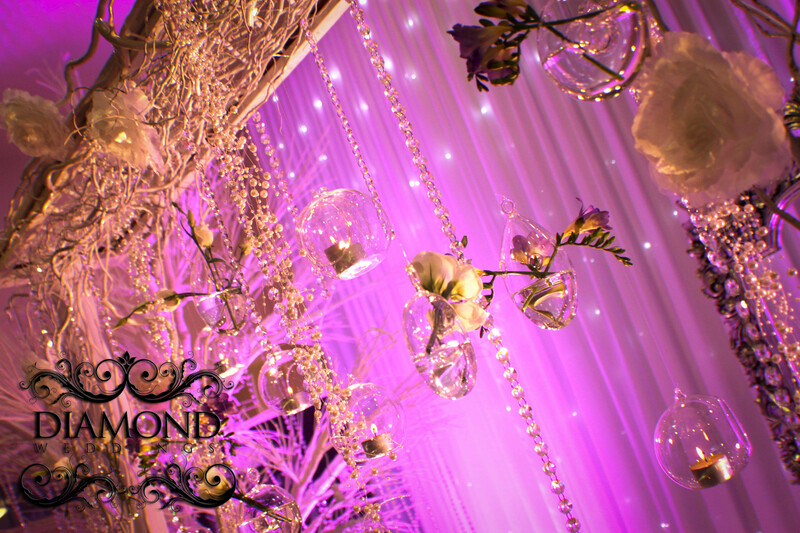 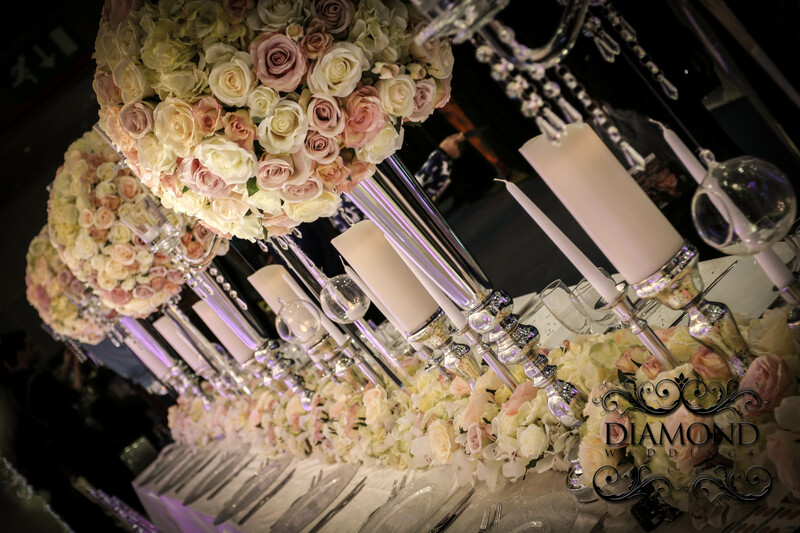 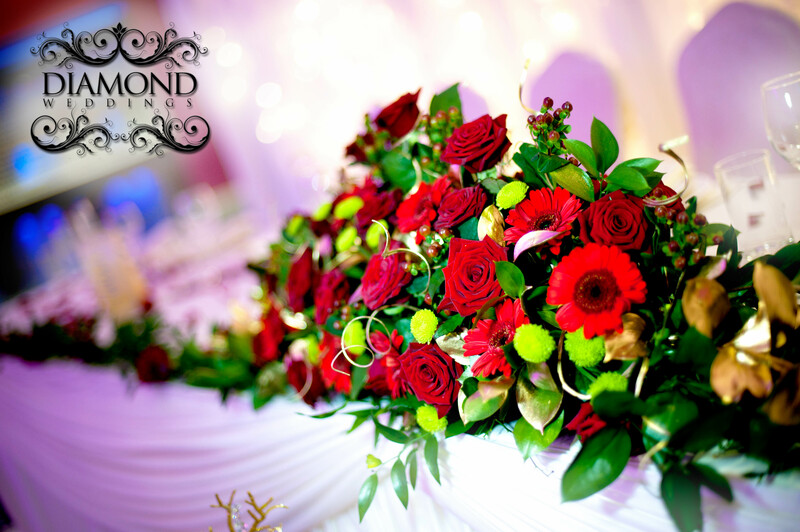 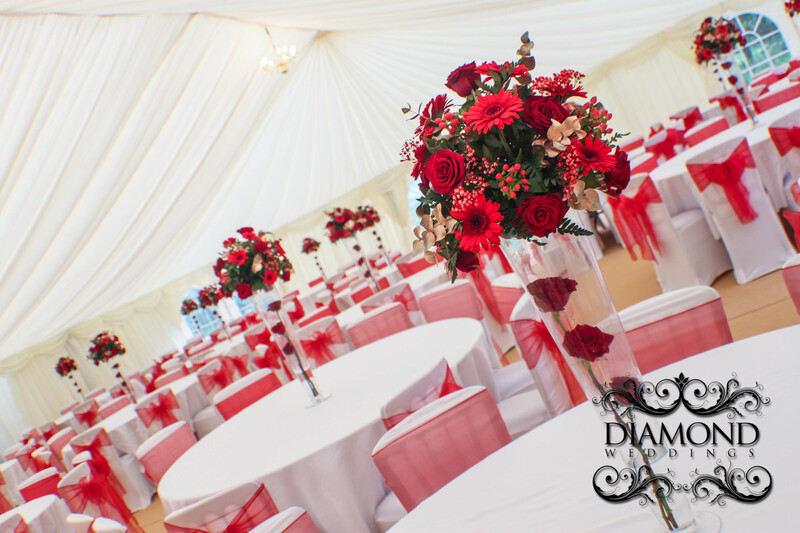 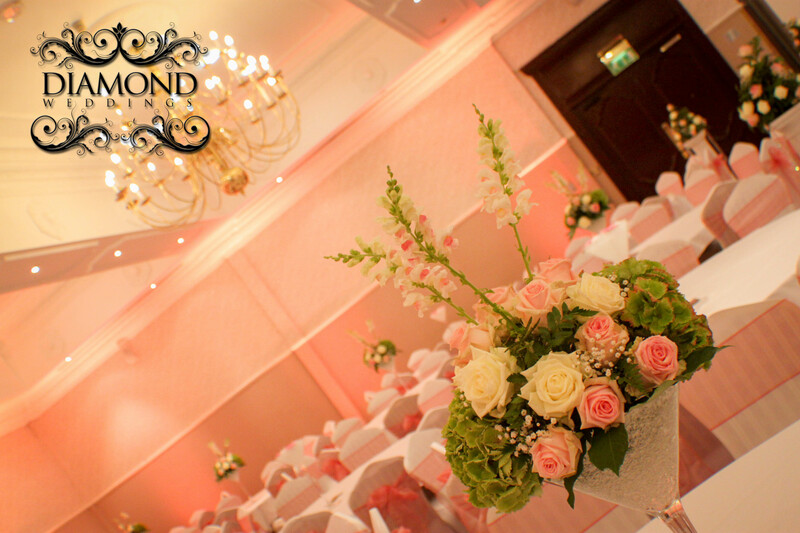 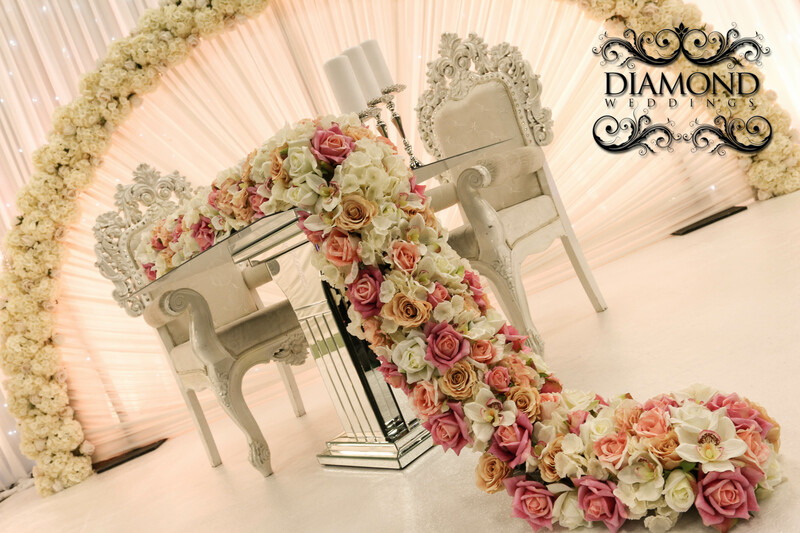 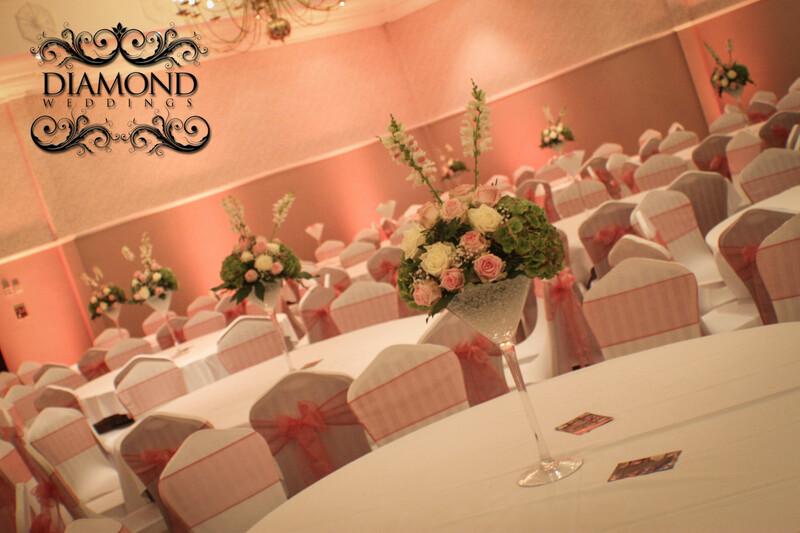 At Diamond Weddings we have our in house designer florist who will sit with you and discuss in detail how u would like your flowers and floral pieces for your big day. 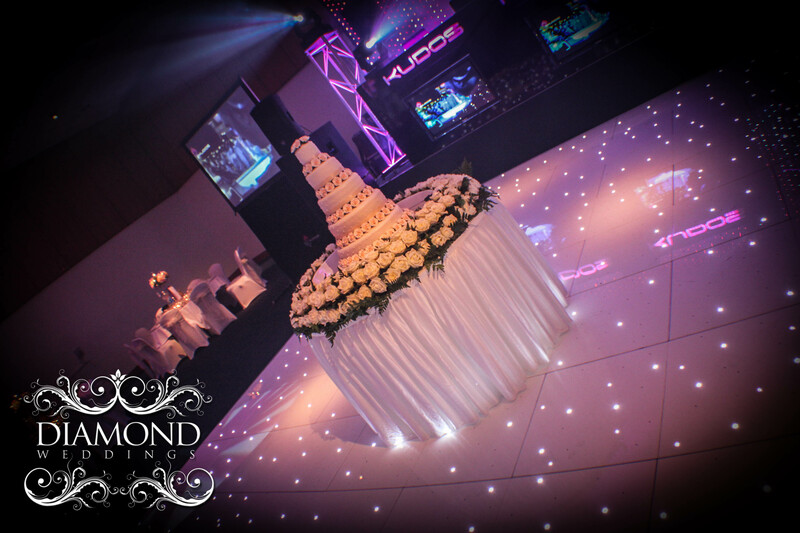 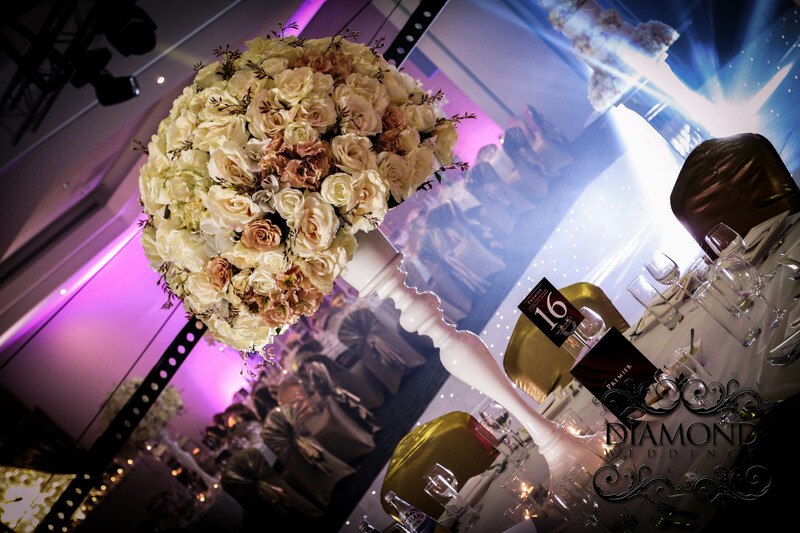 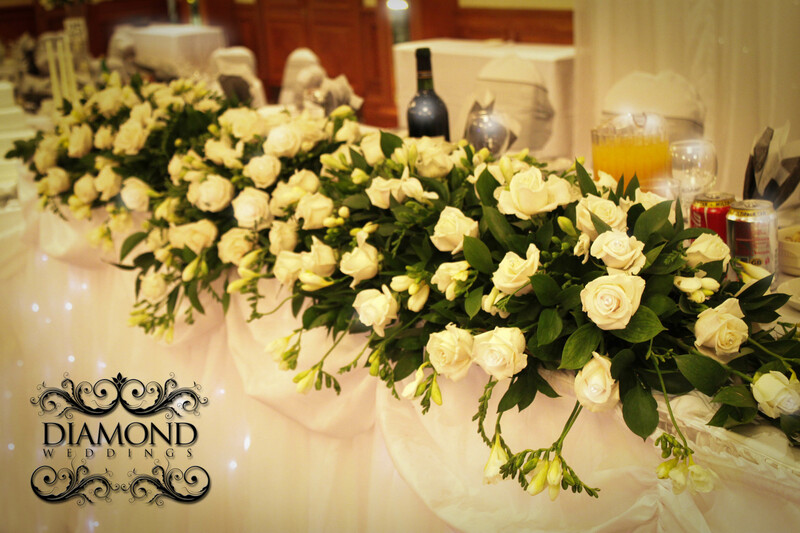 We specialise in wedding flowers and corporate flowers so we can tailor make a package to suit your needs. 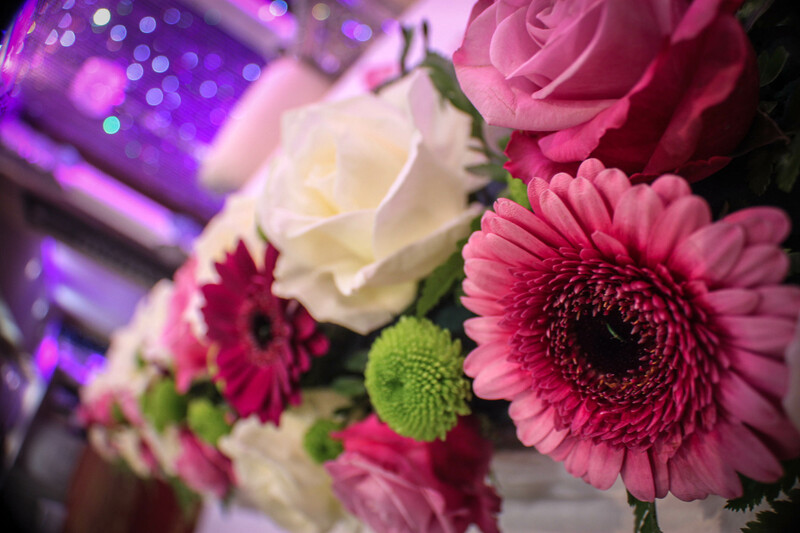 We buy all our flowers fresh from Holland, and then make up the centre pieces in our warehouse and have then ready for our event stylists to bring out and setup on your event day. 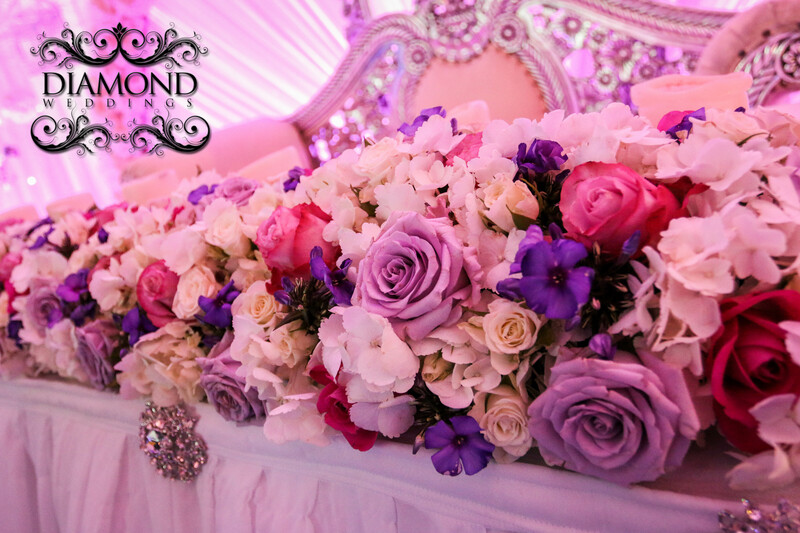 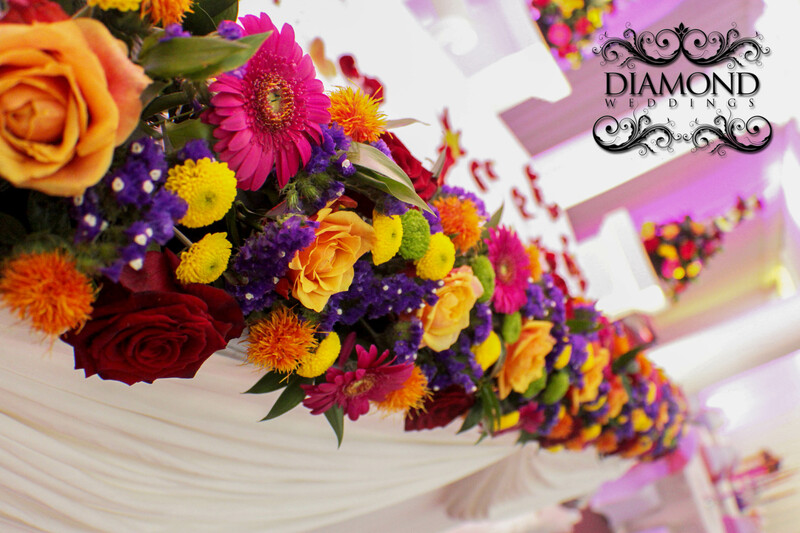 We specialise in Wedding floral centre pieces, Mandap flowers, Wedding Stage Flowers, Pedestal flowers, statment centre pieces, flower walls, floral walkways, and much much more.